Customers expect personalized, consistent experiences from your brand. Success requires a blend of analytics and creativity to foster one-to-one relationships that increase customer volume and loyalty. 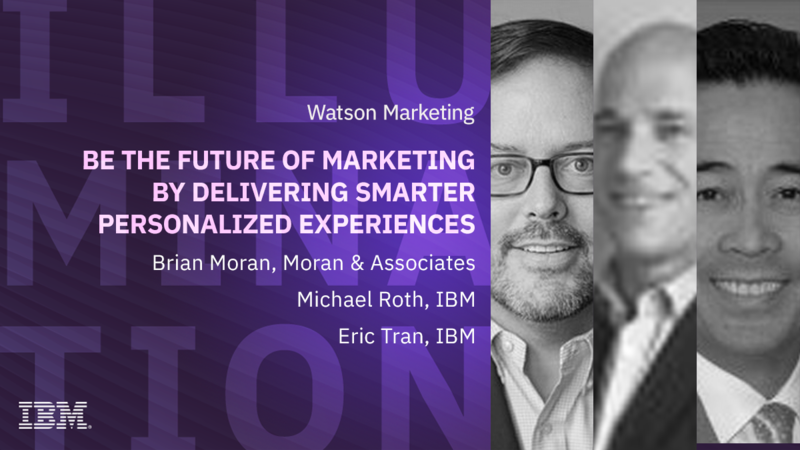 IBM's AI-powered Watson Marketing solutions support a broad set of channels including digital, mobile, and offline, enabling you to work smarter while delivering targeted multi-channel experiences to customers. Our integrated AI-powered solutions help you understand your customers and how they interact with your brand, build and analyze effective end-to-end journeys, easily uncover opportunities you never knew existed by removing obstacles to conversion, uncover audiences and segments you never knew existed and engage them effectively, and optimize every digital property for conversion.